Oh yes, so very true and I do try to live by that. As I mentioned on Flickr this image takes my breath away. 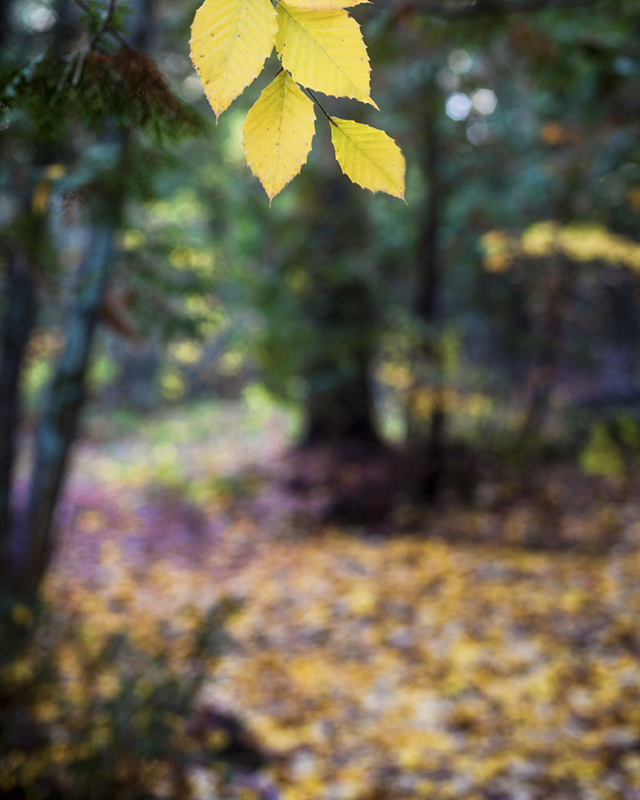 I love how you’ve focused on the golden leaves with the background of forest being in shallow depth of field — the perfect backdrop for the leaves and gives it such perfect context. Beautifully seen and executed. Wonderful quote, and I love the sense of mystery in this photo. Beautiful quote that pairs perfectly with this wonderful autumn image, Sherry. What a splendid season! Happy day to you, Sherry! I love this quote! I am going to write this one in the front of my journal! Your photo us perfect for it also!